Seaway Manufacturing was founded in 1959. We drew upon Northwest Pennsylvania’s tradition of strong craftsmanship and engineering expertise to become a premier manufacturer of top-quality, energy efficient home improvement products. 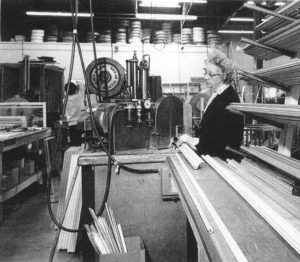 Beginning with the manufacture of custom, aluminum storm doors and windows, Seaway has risen to prominence through the development of its diverse line of vinyl and aluminum products, enhancing the value, beauty and energy efficiency of tens of thousands of homes. 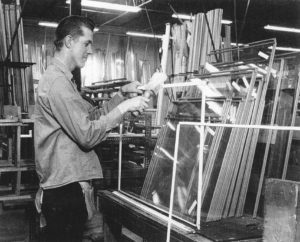 New products were added to the line through the decades, with replacement windows becoming the most popular. As vinyl technology improved, Seaway shifted its focus to this new material, setting standards for innovation and quality in the process. Seaway has been consistently ranked among the top 100 Window and Door Manufacturers in the nationally recognized, Window and Door Magazine. We’re certain that an authorized Seaway dealer can help you find the products that are best for your home. We select dealers who treat customers just like we do – with respect and honesty. Seaway’s unwavering commitment to continuous improvement and innovation ensures delivery of products that utilize cutting edge technology and are consistently superior in quality.